2014 Marks the 50th anniversary of the release of ‘Pain In My Heart’. LOS ANGELES, Calif. — To commemorate the 50th anniversary of Otis Redding’s debut album ‘PAIN IN MY HEART’, we are releasing a limited-edition, 50th Anniversary version of the original vinyl album featuring the original LP artwork on Record Store Day: April 19th, 2014. Only 5,000 copies will be available worldwide, with limited-edition foil stamp numbering. Find your nearest independent record store and mark your calendar! April 19th, 2014 – SRLP – $24.98. 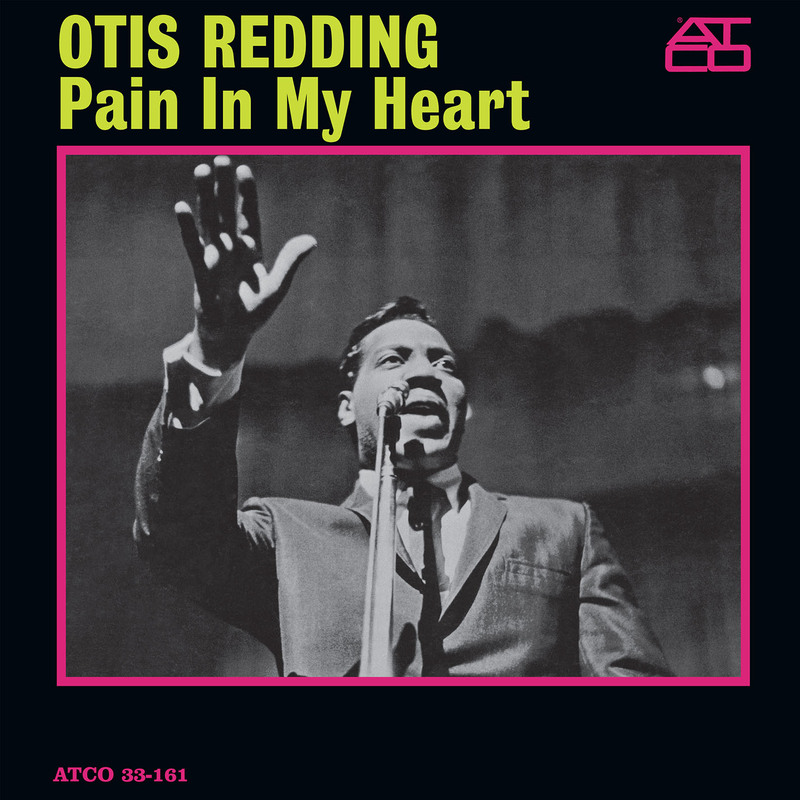 Pain in My Heart’ is the debut album of soul singer-songwriter Otis Redding. The album includes four classic Redding singles released in 1962 and 1963: “These Arms of Mine”, “That’s What My Heart Needs”, “Security”, and the title track, “Pain In My Heart”. ‘Pain in My Heart’ was originally released on Atlantic Records’ subsidiary Atco Records on January 1, 1964, and peaked at number 20 on Billboard’s R&B chart. The last single, “Security”, was released in April, 1964, and charted at number 97 on Billboard’s Hot 100 chart. Otis’ debut single, “These Arms of Mine” (with “Hey Hey Baby” on the B-side) – was released in October, 1962 and became one of his most successful songs, selling more than 800,000 copies.